Robert J. Howe was born on October 10, 1957. Howe’s fiction has appeared in numerous magazines and anthologies, including Black Gate 14 (with “The Natural History of Calamity”). He co-edited the anthology Coney Island Wonder Stories with John Ordover. 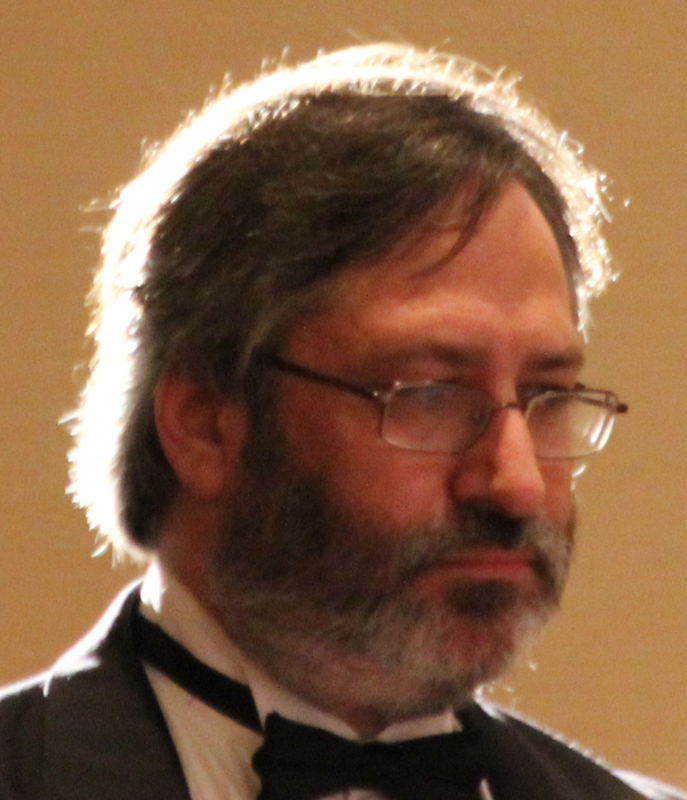 Howe served as Secretary of the Science Fiction and Fantasy Writers of American from 2010-2012. He is married to SF editor Eleanor Lang. “The Little American Man: A True Pelvic Story” is a surreal tale set in Latin America. Pilar is a prostitute who notes that she likes the American client she has recently had who pays, doesn’t try to romance her, and doesn’t take up too much of time. A pregnancy scare forces her to visit her physician, Doctor Escobar, and his examination reveals that while not pregnant, a tiny version of the American man is living inside her. Although Escobar offers to remove the squatter, Pilar refuses. Over the next several weeks, Pilar changes her business model from turning tricks to allowing people to view the little American man inside her. As time progresses, the man begins decorating his surroundings and adding furnishings, although neither Pilar nor Howe seem particularly curious about the method he has for obtaining his décor. Although Pilar does ask him about his plans and his name, he refuses to answer any of her questions and she allows them to pass. In the course of the story, Doctor Escobar give his diagnoses of the little American man’s presence as “uterocolonialism,” which seems a reasonable interpretation of his actions, even if his presence seems benign. However, no matter how little direct impact he seems to have on Pilar, his very presence appears to make changes to her as she is unable to conduct her traditional business and she realizes that she is aging more rapidly than she should. By the time Pilar asks Doctor Escobar to remove the little man, it is too late. 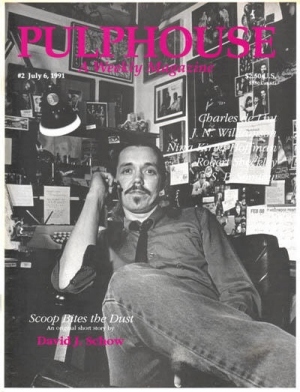 Reviewed in its only publication in the magazine Pulphouse: A Weekly Magazine, edited by Dean Wesley Smith, July 6, 1991.